Wrinkles are just the tip of the iceberg when it comes to the symptoms of an aging face, and many women (and men) get so caught up keeping lines at bay that they may sometimes neglect other signs of time. 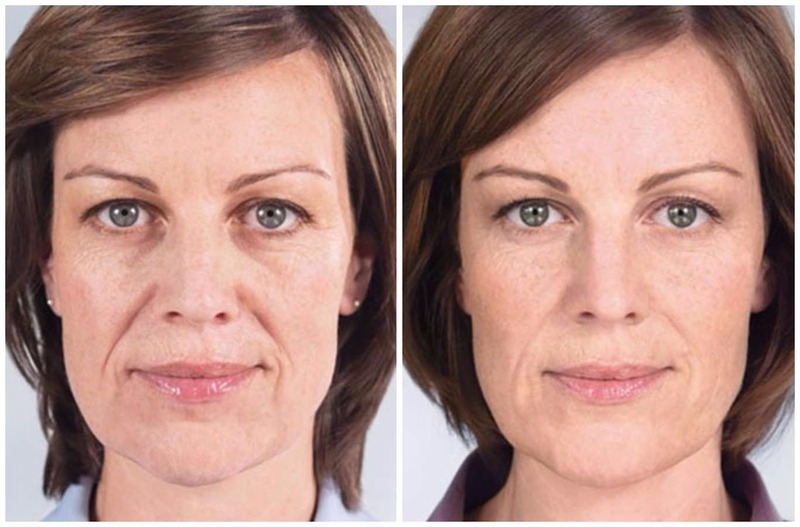 The good news is you don’t need a complete overhaul to look a few years younger anymore, and a combination of several small, targeted treatments and surgical procedures can yield major anti-aging results. Treatments such as ThermiTight can help remodel existing collagen and prompt the skin to naturally produce more. ThermiTight uses a tiny probe to deliver radiofrequency energy to the deeper layers of the skin, in turn generating heat that produces a tightening effect. Results begin to become visible after six to eight weeks, and optimal improvement is seen approximately six months after treatment—and may continue to refine for up to a year. One non-invasive treatment is usually sufficient for significant improvement, and patients say that other than feeling the sensation of heat, the treatment is relatively painless. ThermiTight requires minimal downtime and you can return to their normal activities the very next day. For optimal improvement, many doctors will recommend BOTOX® Cosmetic, Dysport® or Xeomin® in conjunction with energy-based skin-tightening to relax the vertical muscles of the neck that often become more visible with age. The same breakdown of collagen and elastin that’s seen on the neck occurs around the eyes as well, and this can lead to a perpetually tired appearance that adds years to your visage. 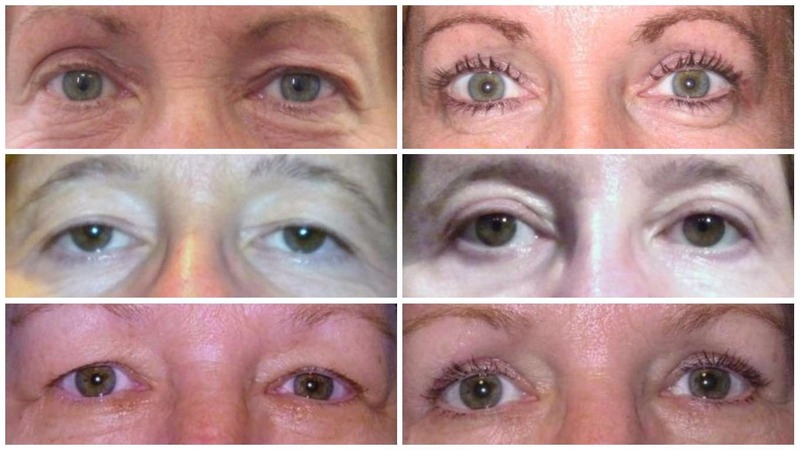 Performed under twilight anesthesia and often taking less than an hour, upper blepharoplasty (also known as an eye lift) is an outpatient procedure that removes excess skin and may involve tightening of underlying supportive tissues. Although it takes one to two weeks for incisions to heal and bruising to subside, most patients are surprised at how painless the recovery is—and results are subtle yet significant in the hands of a skilled surgeon. The loss of facial fat is yet another symptom of aging, and a sunken look in the mid-face often replaces the plump, full cheeks associated with youth. A hyaluronic acid cheek filler like Juvederm Voluma replaces lost volume instantly (and painlessly since it’s formulated with a numbing agent), and provides a visible “lift” that can last for more than a year. Replenishing mid-face plumpness also helps smooth the appearance of laugh lines and add definition to the cheekbones—lending an overall younger look that lasts one year or more. “Voluma is my go to filler for replacing deep medial cheek fat when autologous fat is not an option for patients,” says New Haven, CT dermatologist Lisa Donofrio, MD. Nothing says “youth” like radiant, glowing skin—and it’s imperative to include your complexion in your anti-aging efforts. Cellular turnover slows with age, and a build-up of dull, dead cells on the skin’s surface makes you look years older than you really are. At-home exfoliation can only go so far. Sciton’s Halo hybrid laser uses two wavelengths of light to simultaneously reveal fresh, healthy skin and prompt rejuvenating collagen production beneath the surface. 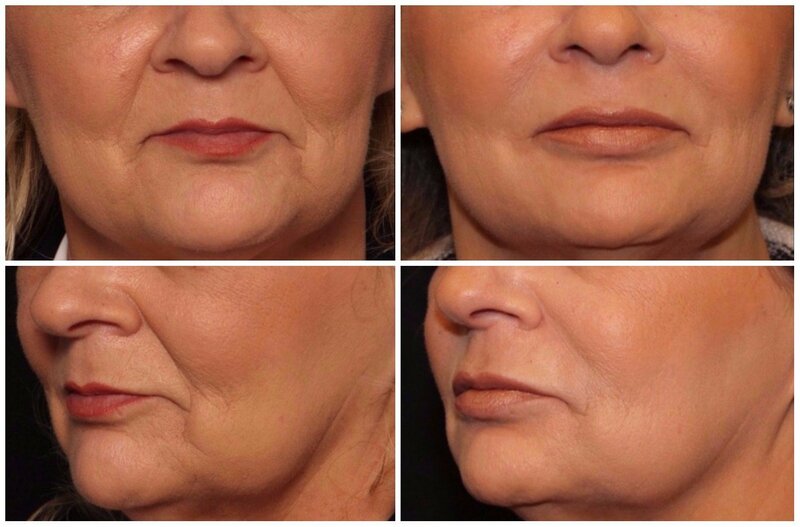 The Halo treatment combines the results of ablative resurfacing with the little-to-no downtime associated with non-ablative resurfacing, and is fully customizable for each patient’s needs and schedule. 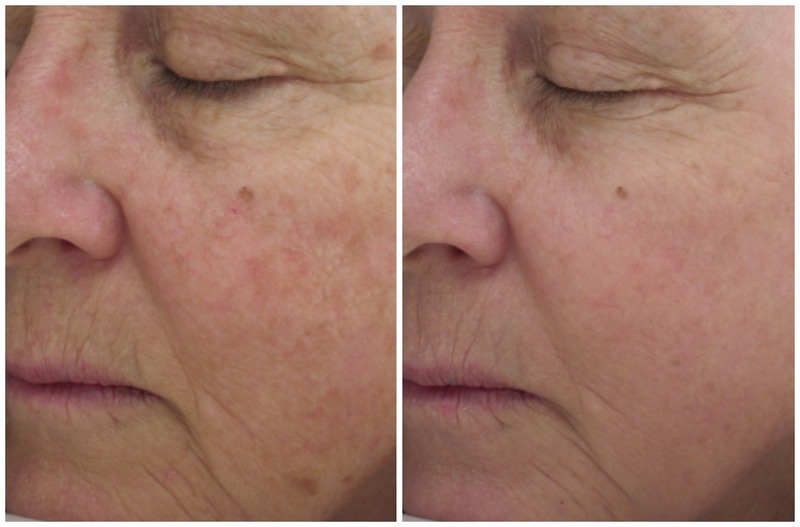 Patients can opt for one intense treatment or a series of lighter treatments to dramatically improve fine lines, discoloration, redness, enlarged pores and other signs of sun damage while delivering a major boost in the skin’s clarity and radiance. Halo recovery is relatively easy, but expect your skin to feel hot for the first few hours after treatment. By the next day, a dark, rough crust begins to form on the surface of the skin, but it can be camouflaged with makeup. There is no discomfort or oozing after the initial sunburn-like redness that occurs immediately after treatment. The outer layer begins to flake off a few days later, in turn revealing smoother, healthy, baby-soft skin that makes it all well worth it. If you haven’t noticed a change in the appearance of your temples, it’s probably because you never thought to take a closer look (or compare them to photos of your younger self). This is one of the most overlooked areas when it comes to aging, and the loss of facial fat in this spot can lead to a sunken look and visible blood vessels. A long-lasting collagen-boosting injectable like Sculptra Aesthetic can restore lost volume with a series of treatments spaced out over several months. The only trade-off for this long-lasting rejuvenation is that it doesn’t deliver an instant effect. Sculptra requires a little patience, as it can take up to three months or longer to start seeing the collagen-boosting effects. Many dermatologists and plastic surgeons also add a hyaluronic acid filler for a quick fix while Sculptra is working it magic. “Sculptra is an excellent treatment choice to restore volume for the area around the temples and cheeks. It is an alternative to surgical fat transfer with less down time. Many patients appreciate the more natural or slower progression of new collagen appearance which leaves people wondering what they have had done. 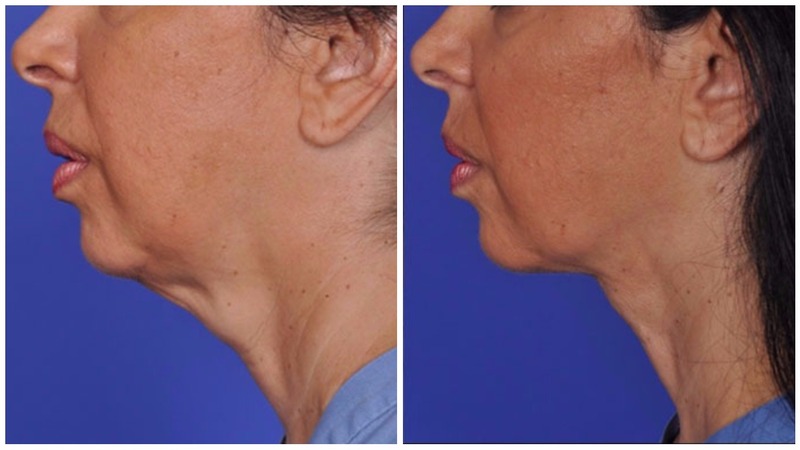 It provides a smooth, even result that can continue to replenish fullness for two to three years after a series of two or more treatment sessions,” explains Dr. Edwin Williams, an Albany, New York based facial plastic surgeon and Past President of AAFPRS.